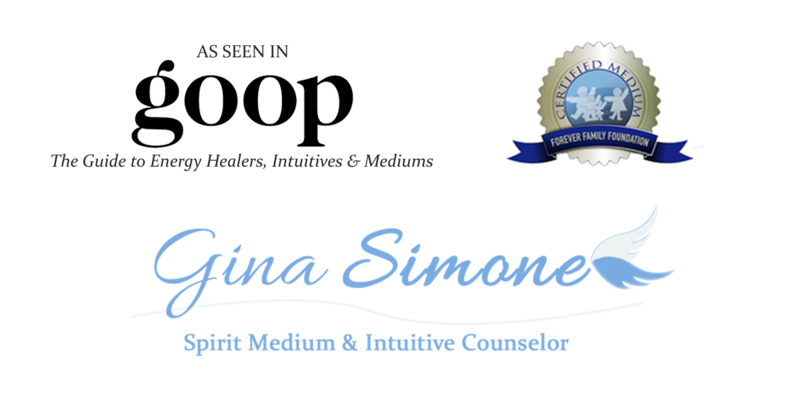 Hi Gina, I wanted to let you know how much your reading had a profound effect on my life. I am truly blessed that I was guided to you. It really kick started my path and helped confirm what I was feeling as well as acknowledging what I wasn’t doing. I know I am moving forward and not too sure what my focus will be, but all of these beautiful opportunities have been coming my way.. a work in progress..
A Reiki treatment feels like a glowing radiance that flows through and around you. Beneficial effects include relaxation, feelings of peace and well-being. A private in-person session is usually 90 minutes long. For the actual session, the client will rest comfortably on a massage table, as the Reiki practitioner either uses a light touch, or hands-off approach where the hands will be held slightly above the body, or a combination of both. It doesn’t matter. Universal Life Force Energy is transmitted either way. 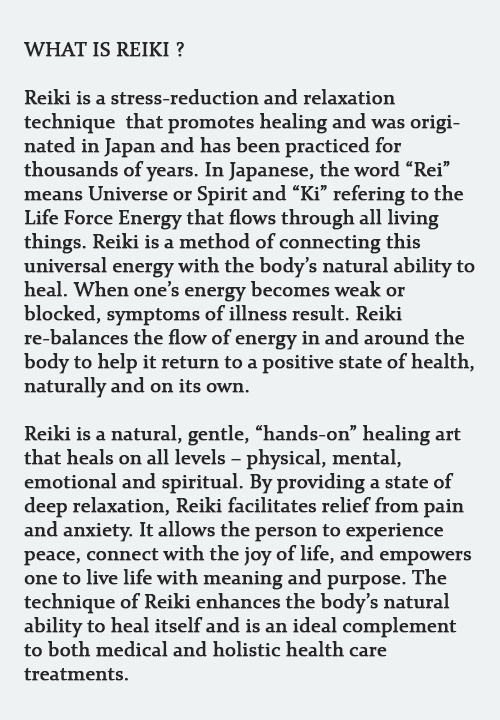 With all that has been said and written about Reiki, the only way to find out what it can do for you is to experience it. You will be amazed how something that is so simple profoundly changes your experience of life. Enjoy a session of relaxation and self-healing. Allow Universal energy to flow through you and encourage positive feelings throughout your body. You will not believe how balanced and relaxed you will feel after just one session!! Gina has been studying Reiki for the past 10 years and has reached her Reiki Master level within the Japanese Master Usui lineage. She is currently studying for her Master Teacher degree under Master Teacher Lorraine Austin, RMT.